You took too many English classes. Someone has told you that it’s more important to say it right than to say it at all. Well, it is important to write correctly. It makes your communication clearer, and your reputation brighter. But it’s usually better to say what you mean poorly than to say nothing. Why? Because once you write it, you can edit it. Or you can ask someone else to. Ernest Hemingway said, “The first draft of anything is garbage.” Well, garbage wasn’t the word he actually used, but you get the idea. If Hemingway, one of the most influential prose writers in the English language, thought that his first drafts were garbage, you should feel just fine if that’s what your first draft looks like. Garbage is honorable. It’s hard to improve on perfection, but it’s really easy to improve on garbage. Reading it again will give you all sorts of ideas for improvement. But, you say, Ernest Hemingway had an editor who was paid to rework his stuff. What if you don’t have anyone to revise your writing, and you’re depressed by the thought of having to do it yourself? Let your writing sit for a while. It may make more sense if you sleep on it. Or, it may make less sense after you have slept on it. At least you’ll know which. Find someone to read it for you, to make suggestions, or even to edit it for you. You don’t need someone who is a great writer themselves. Sometimes it’s better to find someone with nothing more than a good head on their shoulders and the ability to read English words. Ask questions. Any sensible person can tell you if he or she understood what you wrote. And if your reader didn’t understand, ask what her or she thought you said. That will give you ideas for improvement, I assure you, depending how far off the mark they were. Run an ad in Craigslist, offering to pay someone a small sum to edit your writing. The ad is free, it’s easy to run, and the work can be done cheaply. You may find that you get what you pay for, but you can decide how much it’s worth to you. Find a writing critique group. Writers groups are mostly for creative writers: poets, playwrights and novelists. But for business writing, you could ask someone in your local civic club or chamber of commerce for advice. The point is to free yourself from the worry that you’re writing in stone. You’re not. Anything you say can and should be considered changeable. Great advice, Michael. And it can’t be repeated often enough. The main thing is to get something from your head onto paper. Another piece of advice: find a writers’ group. If you can’t find one, form one. Just two or three other kindred souls can provide invaluable support and feedback in this lonely business of writing. I’m getting better at writing and then editing. It does help to get all my thoughts down and then to clean it up and make it more concise. One of the things that helped me become a better writer was hiring someone to edit a white paper. I wrote a blog article a while back that I wanted to be more formal than most of my posts because of how strongly I felt about the topic. Hiring an editor (I used an online editing service) was helpful in that I was able to see where my wording muddled the issue. While it wasn’t free, it was $15 well spent. Obviously I don’t do that for every post, but it helped make that article stronger. This is a good advice for me as well. I have this habit of trying to make every sentence perfect on the first try. It just hinders the creative flow. Writing an article is considered one difficult thing for some people only to find out that its as easy as one, two, three. All you need to do is write down everything in your mind, do not consider the perfectness but just write and write. Editing is one vital part in all writing activity. I agree in this posting that it does not really require an expert to do the editing of your article. People around you who are more likely to be your readers are perhaps one prospect you can let edit your work. Editing furnishes your work and that what makes it good article. This posting is very helpful in guiding writers and even encourage people to write down their own ideas. Going along with Daniel’s point, I too try and make my writing as perfect as possible the first try, but I need to realize this isn’t the best option. This was a nice article though. I haven’t had many people look over my writing in the past, however after reading this, I’m a bit inspired to do so. Since I work as an editor myself, I can appreciate Daniel’s advice. I see many student essays and assignments that are TERRIBLE at first glance, and certainly would not impress an examiner. But after editing (either by a professional, like me, or just after a second read through) a second version can be impressive. Sorry, I should have mentioned Michael as the author of that valuable post. Daniel should also be acknowledged as the host, of course! Thanks Geoff for the nice words! Inthe sentance “But, you say, Ernest Hemingway had a editor who was paid to rework his stuff.” the “a” infront of editor should be “an”. Well said, you are right. 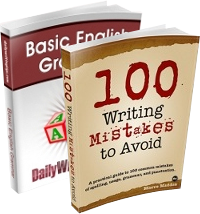 This topic is really helpful because I can’t write an article or essay smoothly. 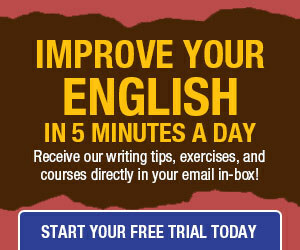 You provide me a positive way to improve my writing skill. Thanks a lot. For more information on Ernest Hemingway, visit this great web site. i learn to write and speak english. One idea I like for editing is to read what I have written into a tape recorder and then playing it back a couple of days later. I find that the picture in my head was not the one that made it onto the page.